The Aerial Guys offer a complete satellite dish installation and satellite TV repair service. 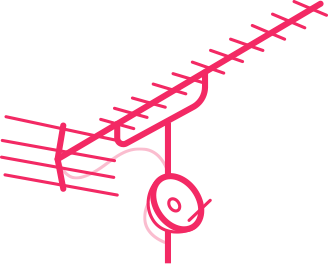 So, whether your need a complete satellite setup, want several TVs connected to your satellite service, or need satellite TV repairs to put you back in the picture, The Aerial Guys are happy to oblige! The Aerial Guys carry a complete range of satellite TV equipment. So, when we say we can fit it or fix it that same day, we really mean it. We aim to deliver the most efficient and affordable satellite installations and repairs possible, to get you back up and running in no time. With The Aerial Guys, you’ll always get the best possible service guaranteed. In most cases, The Aerial Guys can ensure an expert engineer visits your home that same day. 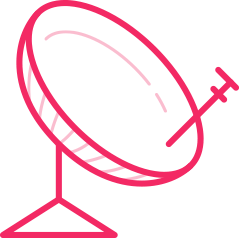 Our friendly and professional engineers will discuss your satellite dish installation or repair needs with you and provide a fixed price quote before any work gets underway. So, you always know exactly what you will pay upfront, with no hidden costs. Speak to The Aerial Guys today on 0800 0920222. Make sure you ask us about our Freesat, Sky and European Satellite installation services. I’ve been refused a Sky installation, can you do it? Yes, we can! We know how frustrating it can be when you’ve been refused an installation by Sky. Their engineers are constrained by a lot of rules, such as the height of your property or discreet cabling requirements. Thankfully, The Aerial Guys have a bit more freedom to give you the satellite installation you’ve been dreaming about. So, don’t worry if you’ve been turned down by Sky – The Aerial Guys can take care of everything! Can I get Sky TV installed in my flat? It very much depends on your property management company. Some may not allow the installation of an external satellite dish, while others might be more amenable. Often, a good compromise can be found by way of a communal dish, whereby all residents share the same signal. Again, you may need to lobby your property management company. If successful, The Aerial Guys are Sky communal systems approved installers. Can you install Freesat for me? Yes, of course! Freesat gives you access to more than 200 TV and radio channels, subscription free. To enjoy Freesat, you will either need an existing satellite dish or have a new one installed. Here at The Aerial Guys, we have a huge amount of experience with Freesat installations. We carry all the necessary equipment, so can often carry out your Freesat installation that same day. Speak to us today to find out more!